Living an uncluttered life goes beyond your physical possessions. It extends to your health, your calendar, your friendships. We live in a society that says, “give me more, spend more, do more.” It can be so easy to let stuff accumulate in your home and in your life…. Especially when you’re a mom. But ALL THE THINGS are adding so much extra burden. And that’s the last thing we need, mamas. We have enough on our plates without being buried under extra. That’s why I’m so passionate about helping moms live a life of less. When I started my minimalism journey years ago, there were 3 areas (besides our physical possessions)where I noticed my simplification spilling over. 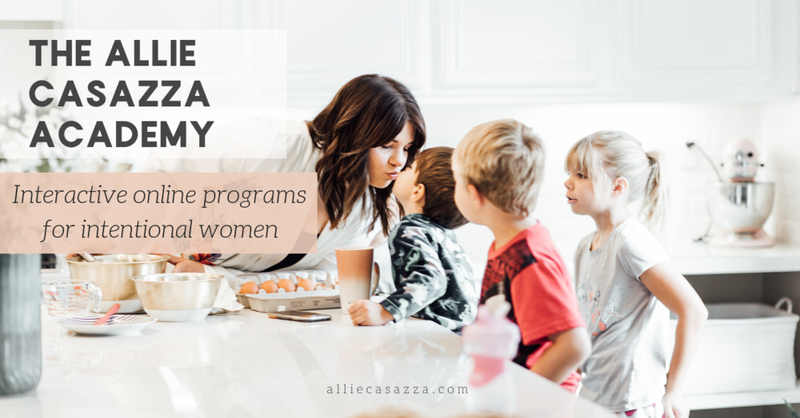 Simplifying these areas was so life-changing for me, I’m sharing them with you! I want you to live a life you love and that serves you and your family. So here we go! Here’s the 3 ways living an uncluttered life goes beyond getting rid of your stuff. When I started my minimalism journey several years ago, the first place I noticed also changing was my schedule. Decluttering my home had trained me to look at things and ask if it was serving me and my family. And as I looked over my schedule each week, I realized I was doing a lot of things I didn’t really want to do just because I felt like I had to. Sound familiar? I started asking myself, Why am I taking my kids to this thing every single week when, honestly, I hate it. It’s at a terribly inconvenient time and it totally ruins the day. Every. Single. Week? Then I’d weigh out the pros and cons. If it was a kids Bible study, I might decide that’s worth the hassle to me. So I would find a way to be flexible in other areas and create a way for Bible study night to not be miserable. For instance, maybe I put on a crock-pot meal. Or plan ahead a little better to make it work with our schedule because it’s purposeful for us and it’s worth it to me. Or I might say, You know what? This really isn’t worth it to me. This isn’t about going in with a machete and hacking away at every single thing that isn’t super fun. We don’t want to be unrealistic. There are some things we don’t love doing that we have to do. This is about giving yourself space to look, analyze and ask yourself, “Is this how I want to be living my life?” Because how we spend our days is how we spend our lives. Wanna discover how much time you need, how much you have, and how you can get more done? This digital download is for you! 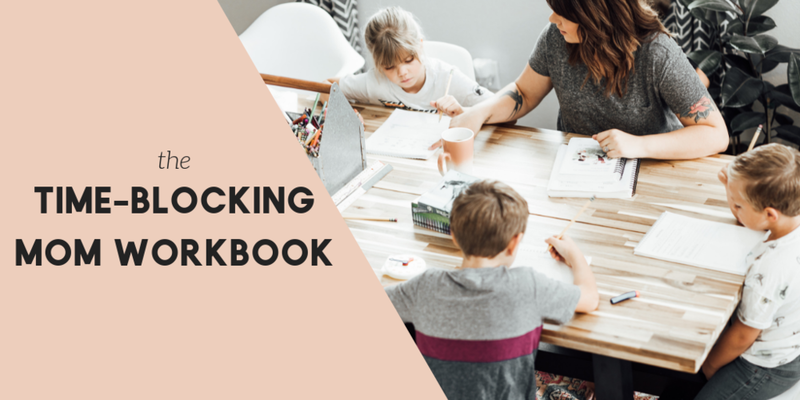 GET THE WORKBOOK FOR $9! I love the term “vampire people” because they literally drain the life right out of you. Often, these are people that we feel “forced” to spend time with. Very often it’s family members. We don’t want to be jerks. We don’t want to be selfish. But we need boundaries. You don’t have to stop seeing the vampire people in your life altogether but, you can separate yourself from them. Look at the problems with each relationship and come up with a plan to deal with it. These are really hard, really awkward conversations to have. I’m not saying this lightly. But for me and my husband Brian, having healthy boundaries - protecting ourselves, each other and our kids - is a big deal to us. You may not encounter such extreme situations. You may just have somebody in your life that’s just rude or a little manipulative. How can you create space? How can you respond in love but with firm boundaries so your vampire people no longer affect you? Health and wellness is such an over-saturated industry in our society. It’s actually a multi-million-dollar-a-year industry because so many people think they need books and programs to get healthy. But unless you’ve got some kind of illness or ailment that makes it difficult, losing weight and getting healthy is really very simplistic. Eat less junk. Eat more of what is good for you. Move more. If you have a desk job, initiate nightly walks with your family. Do some squats while you are waiting for your lunch to heat up in the break room. There’s never a good enough excuse. You can always find a way. I used to be 50 pounds heavier. One day I had to get real and ask myself what I wanted. Did I want to continue feeling awful every time I got dressed for the day? Did I want to keep running into people I knew but hadn’t seen in a while and feeling embarrassed because I was heavier and my skin was broken out? Did I want to keep feeling bad? My answer was a hard no. I didn’t have a label for what I did. I didn’t think to myself, Oh, I’m going Paleo or doing the Whole 30 or working out 5 times a week. I just asked myself where the excess was. I’d just hit the drive-thru because it was convenient, and sometimes that was excessive. I realized it would be cheaper and easier for me if I just had some meals prepped in the fridge. I sit down a lot for my work and when I’m homeschooling my kids so I try to take a walk every single day. I also try to get in about 15 minutes of exercise as a part a part of my morning ritual. That’s it. That works for me. I’m happy with the way I look and feel when I’m doing these things. I’m happy with my life when I’m living with less in all these areas. I want you to understand the beauty of living an uncluttered life beyond just your home. Because it matters. This is your one, beautiful life, sweet mama. Wake up and live the the life you love.